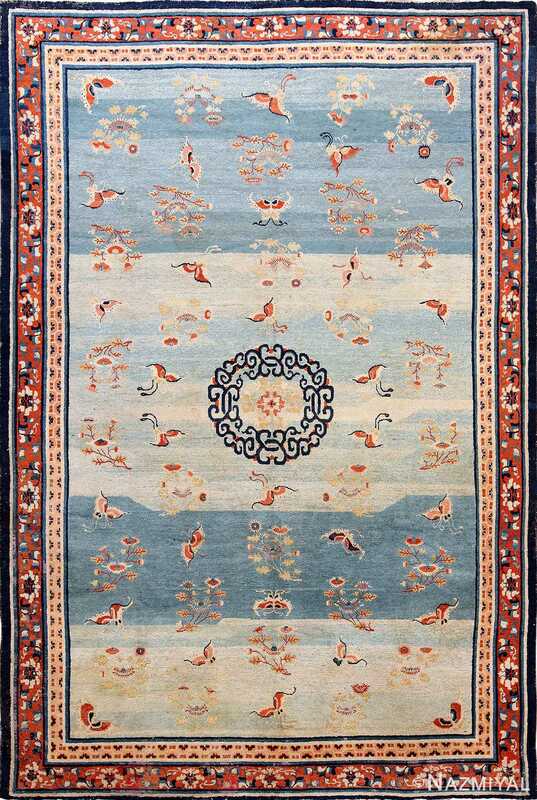 This elegant Chinese carpet features an asymmetric composition and traditional elements woven in a sophisticated combination of taupe and aqua blue. 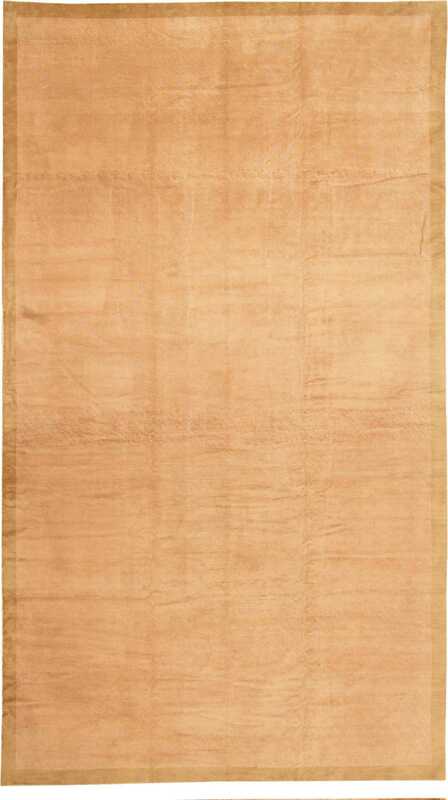 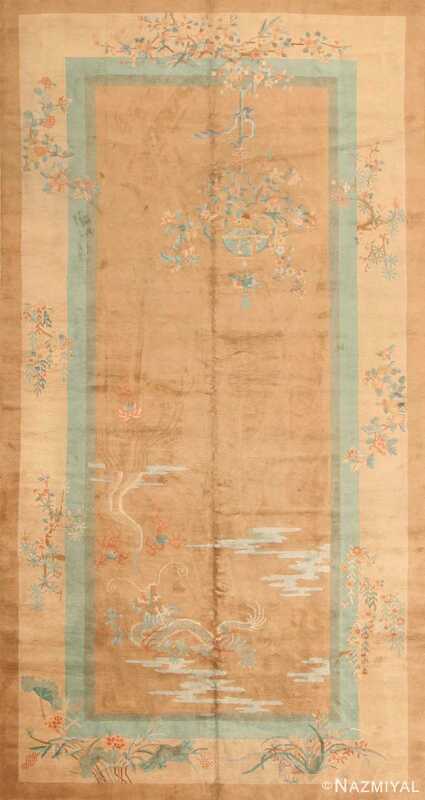 Antique Chinese Deco Rug, Origin: China, Circa: Early 20th Century -A sprawling dragon dominates the antique Chinese Deco carpet’s field along with a basket of hanging flowers that counterbalances the weight of the design and cascading water motifs. Lotus blossoms and finely-detailed design elements fill the camel-colored field. 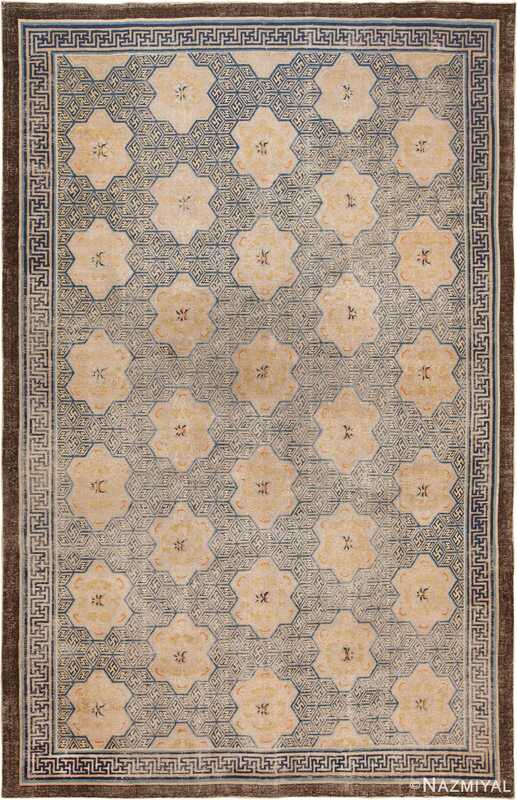 A variety of traditional floral motifs woven in a combination of pastel colors decorate the borders while maintaining the sparse, asymmetric composition of the overall design.